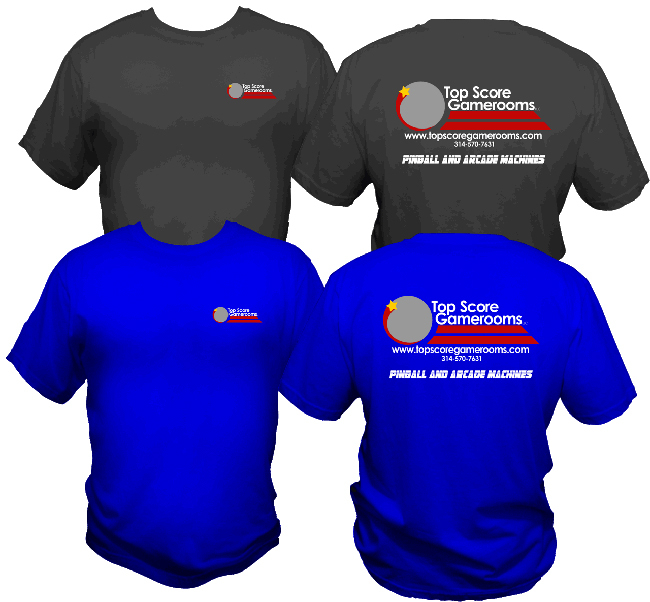 Great for the Holiday Season, Top Score Gamerooms now has T-Shirts and Sweatshirts. Show your love for Pinball and spread the message of being a Top Score Gamerooms fan by rocking one of these awesome Shirts! These make GREAT gifts. They are name brand - comfortable, and look great on both men and women! Printed on back and on chest front! Printed on our shirts here in the United States! See style in pic below! Small, medium, large, extra-large and plus sizes.